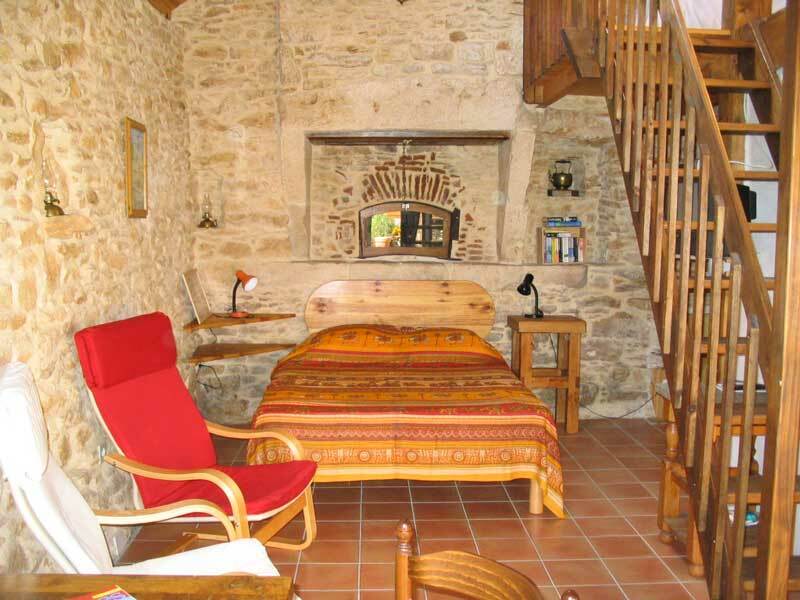 An unusual and delightful rural retreat for the perfect summer vacation rental for 2 in the Lot, Midi-Pyrenées region of south west France! This small converted barn was once the farmhouse bakery (le fournil); the old bread oven is still at the back of the building. 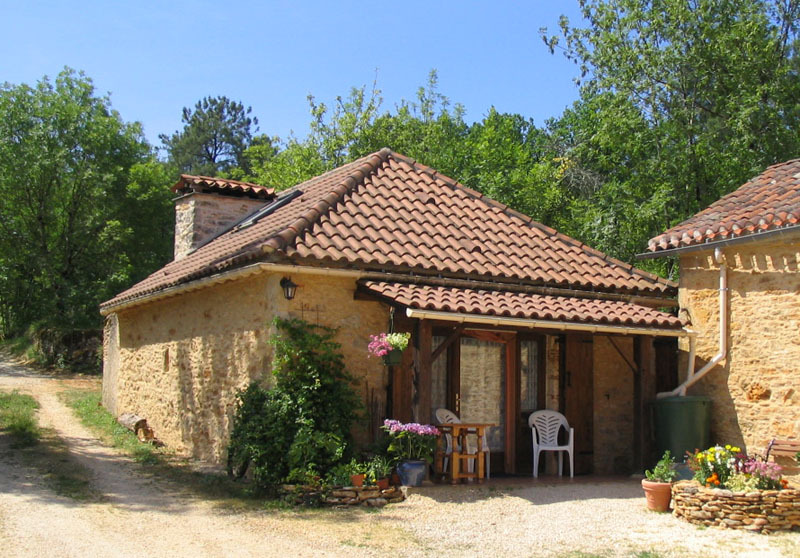 Converted to a studio-type self-catering holiday cottage, this character mini-gîte (30 m2) offers simple but comfortable accommodation and features terracotta floor tiles, pine-boarded ceiling and stone walls. 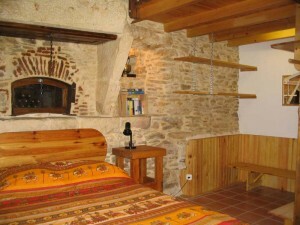 Cool and shady, with charm and character, it is a reasonably priced summer holiday rental ideal for couples. The Breadhouse gîte has an open-plan living/sleeping area with a farmhouse table & chairs, two easy chairs, a double bed and a dressing area with shelves and hanging space. 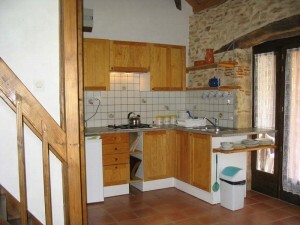 A corner kitchenette has fitted cupboards and a gas hob with extract fan; stainless steel sink and under-counter fridge; microwave (combi-grill). Shower room with toilet, basin, bidet, heated towel rail. An open-tread wooden staircase goes up to a mezzanine in the eaves with additional storage space. A small covered terrace to the front of the building provides a pleasant area for meals or just sitting. 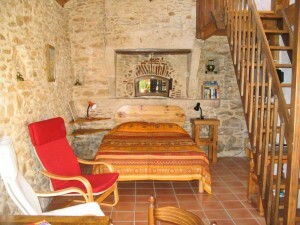 The Breadhouse studio gîte is normally let for summer holiday rentals only. A firm favourite for couples, with many return visitors! Please note that the gîte has no oven, and no washing machine or laundry facilities. Shower towels and bed linen are supplied. Please provide your own bathing towels. Services are included in the prices. Guests have the use of the barbecue in the courtyard. 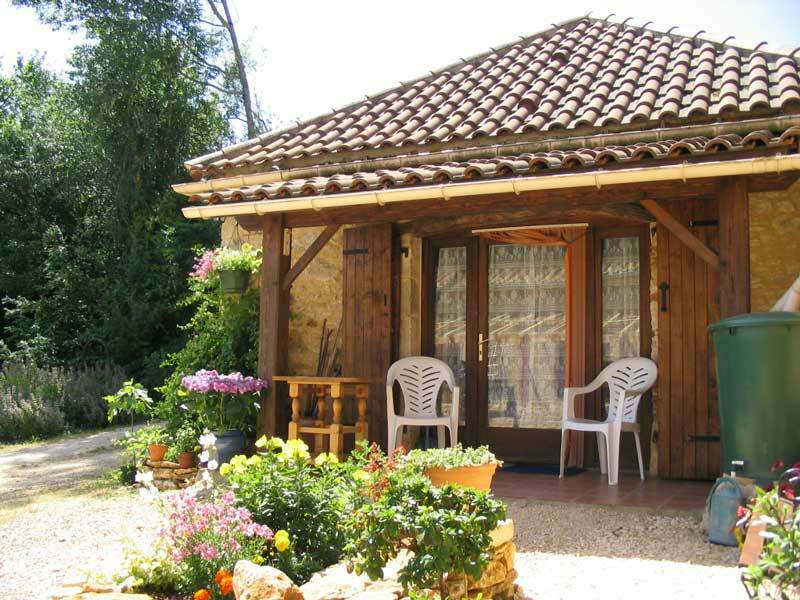 Breadhouse guests share the pool with guests in the other gîte.